One of our most popular items! 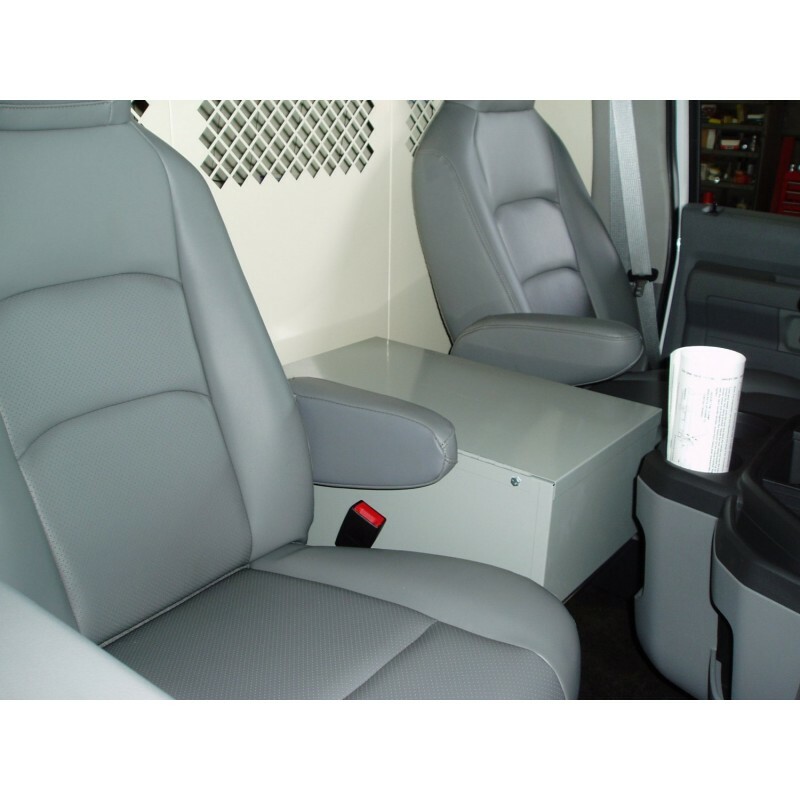 Organize your van cab. 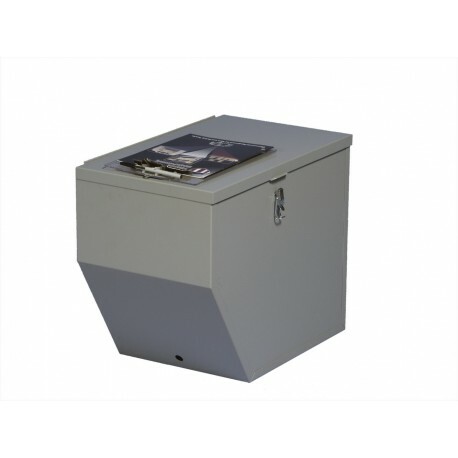 Store and file your important papers while you're on the road. One of our most popular items! 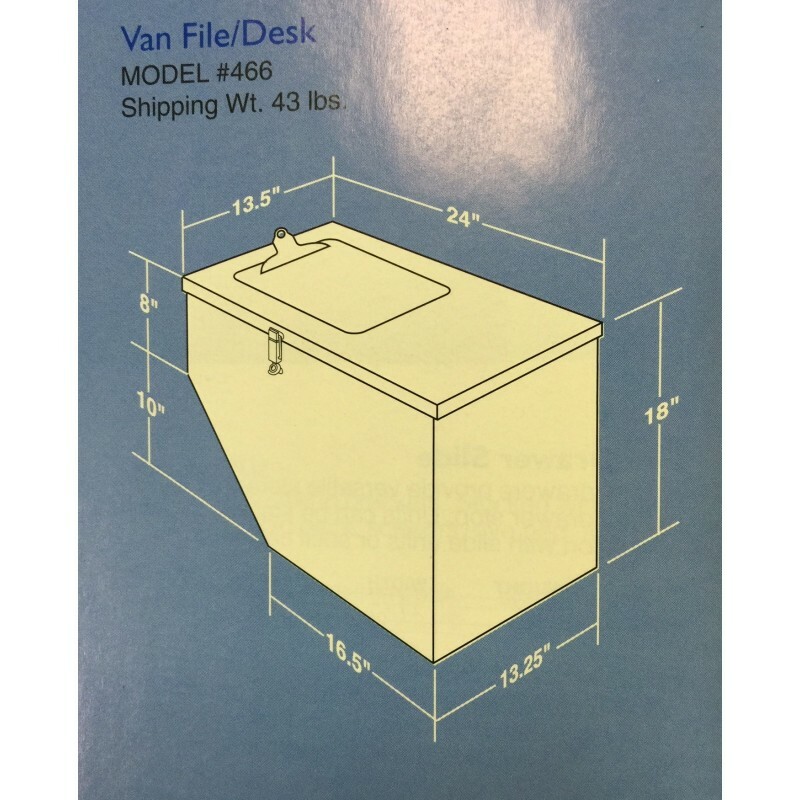 Organize your van cab. 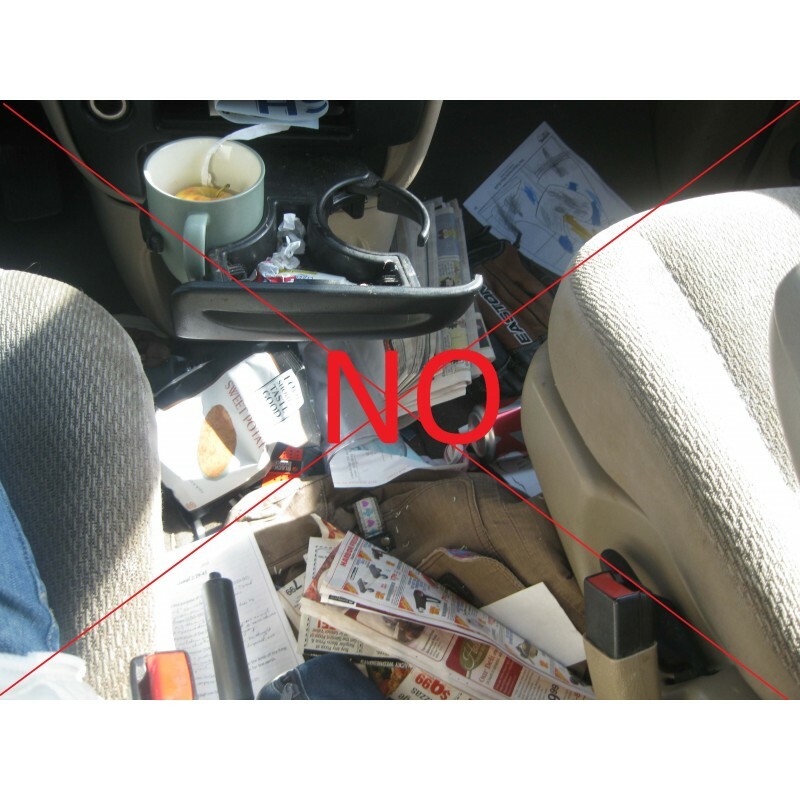 Store and file your important papers while you're on the road. Two rails accept standard hanging folders to neatly organize your files. 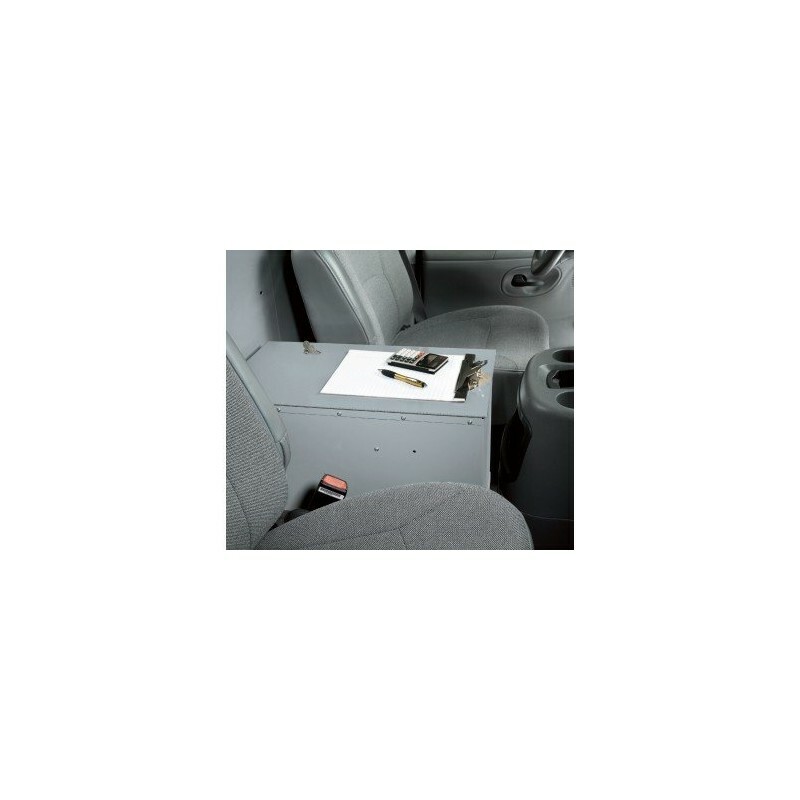 Unit mounts to floor of vehicle, yet is easily removeable to transport your files or gain access to your motor cover. 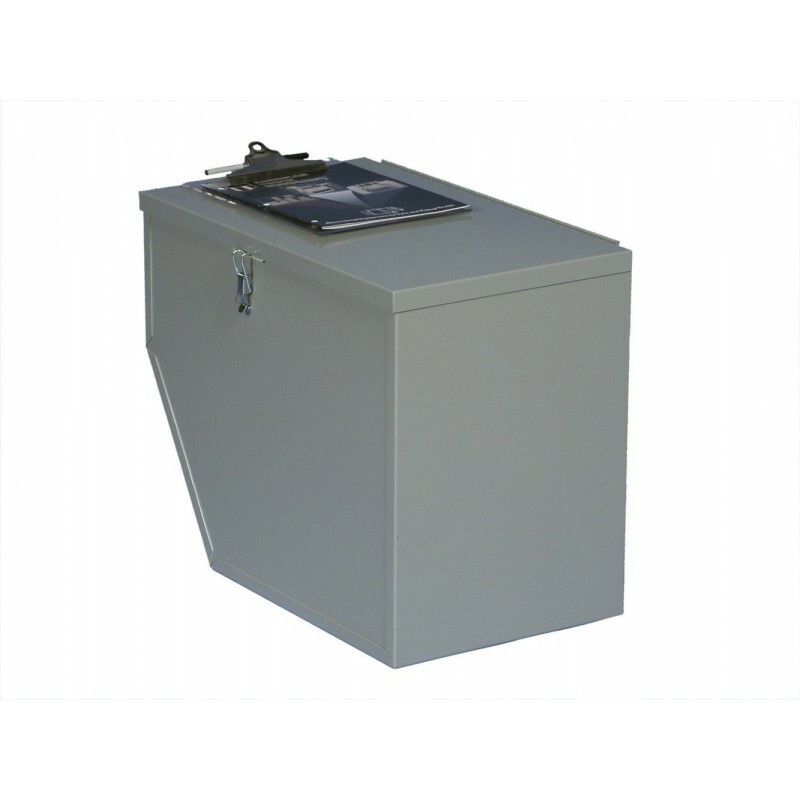 Lockable security for personal items with sturdy lid latch. Medium gray finish matches most vehicle interiors. Removable clip board included for easy note taking or for portable writing surface. 3/4" diameter cable access hole provided for routing cell phone or other battery chargers. 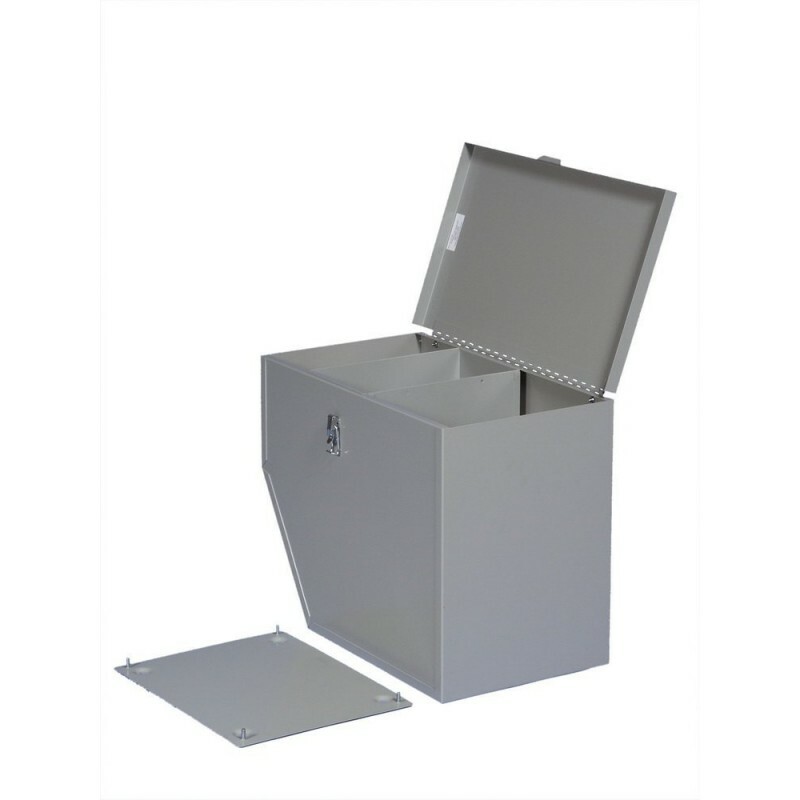 Convenient inside tray slides from front to rear allowing access to stored files.Includes additional front map pocket. Click on the image for blueprint and dimensions.